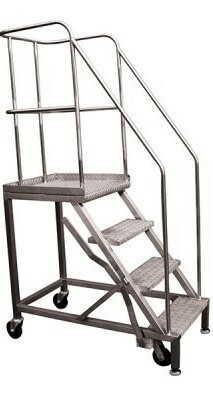 Envirosafe Ireland supply a range of stainless steel Health and Safety equipment. To eliminate any possibility of cross contamination our stainless steel equipment are non particle shedding. All products are made from fully welded 304 grade stainless steel in a brushed dull polish finish. Our mobile steps make a strong and reliable workmate, with non-slip steps, sturdy locking handle, and splayed legs for extra stability. 1000 mm high strong tubular rails to keep operators safe. Fully welded design provides a ridged and safe working platform at higher levels. Non-slip checkerplated steps and platform. Locking handle to secure steps ready for use. 2 swivel and 2 retractable lever-operated front retractable castors for easy maneuverability. 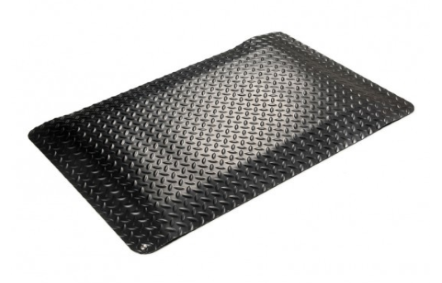 Whether for safety, hygiene or occupational health, our mats enable you to get on with the job at hand. Effective removal of foot-borne and wheel-borne contamination. 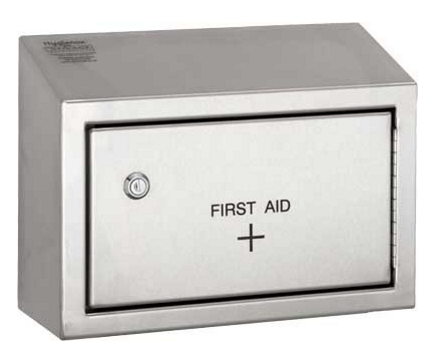 Stainless steel units perfectly suited for housing Fire and First Aid storage.